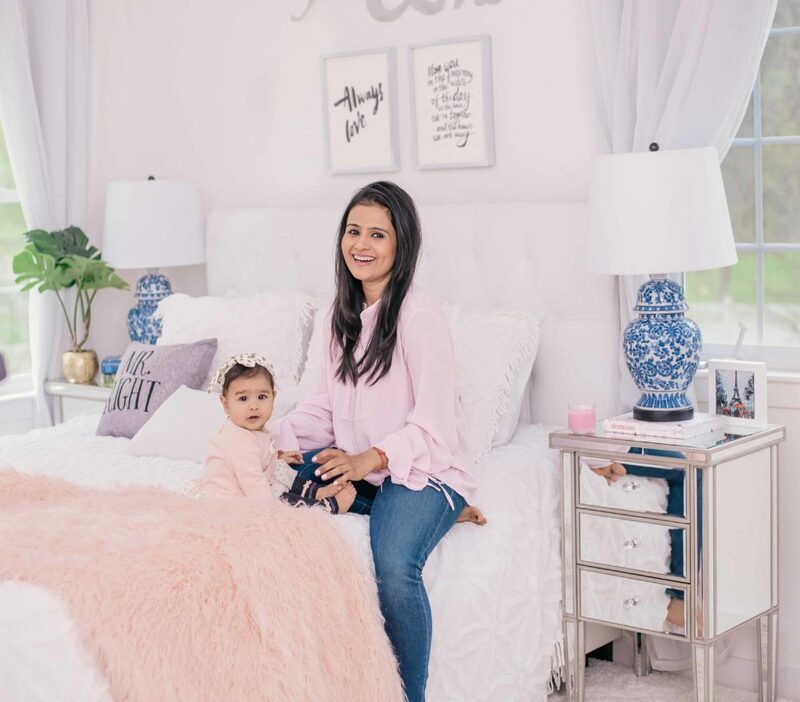 I get so excited every time I share a room tour with you guys, whether it is a minor decor/seasonal update or a full reno. 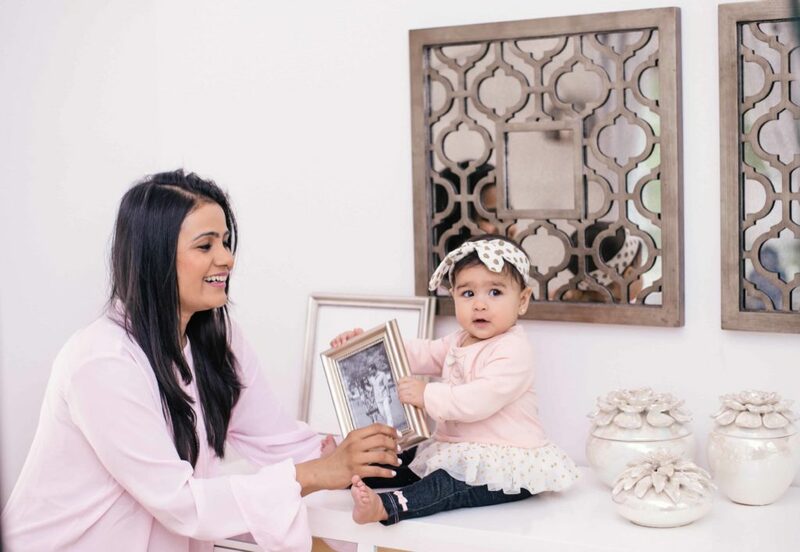 It took us a while to complete this room … because ummm.. baby! The process of gutting the room and completely redoing it was time-consuming but also so exciting. Before I take you through the tour, let me first tell you what this room was like. We had a giant four poster bed in this room. And it wasn’t that I dint love it, I actually loved it a lot. But – it was way too big. And bulky. And so were the nightstands and the dresser. It was all taking up the entire room and moreover, I was always stubbing my foot in the night because there wasn’t much room left to walk between the bed frame and an awkwardly shaped section in the room. This made me really nervous with Zoe now. Things had to be changed soon. It was just the perfect time to redo this room entirely. God know, it needed a paint makeover because when we had moved in, it was a shade of orange and we just never got around to taking that orange-ish shade off. Enter white. You all know, how much I love a clean white backdrop. I love how the white paint opens up the room, makes it look brighter, bigger, fresher, cleaner. For the bed, I knew I wanted something white. May be I was so done with the old dark brown bed or may be I just really like what white does to a space. Color can always be added by means of throw blankets, pillows and other decor items in the room. If we are friends on Instagram and you happened to check out my stories while I was shopping at Raymour and Flanigan, you know how fun the shopping experience was. All those polls, conversations, selections, decor and design picks with you guys were so fun ( and helpful! ) I love the bed also because it has the velvet back. Amit and I are always working on our laptops in bed or watching TV late at night or reading – just having a nice soft back was a huge requirement. We have shopped at Raymour and Flanigan in the past ( see some pieces in the decor archives ) and I cannot say enough good things about the quality and their commitment to service. To give an example of their excellent service – one of the pieces was delivered broken. It must’ve happened during shipping. I contacted the store to see how this could be replaced – they sent someone to pick it up, brought it a replacement in tandem. Helped me put it up in the room as well. I also received a follow-up call from the store to check in on the replacement. These little things are so important to me as a consumer. Their white-glove, in-home furniture delivery service within 3 days or less is super helpful. The furniture is delivered and is setup by the delivery team, thus taking out the hassle of moving around bulky pieces of furniture and figuring out the assembly. 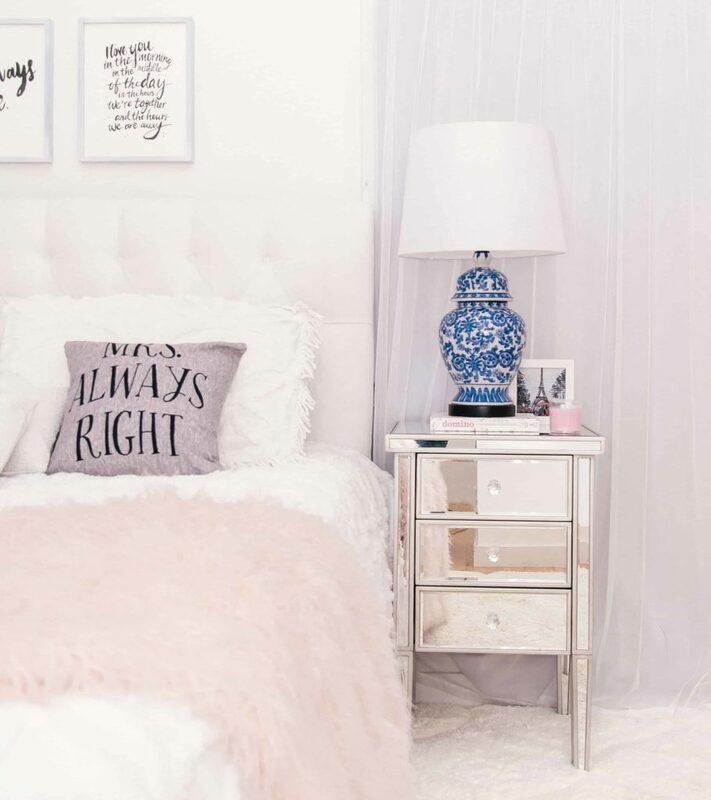 The mirrored nightstands add shine and glimmer and I think they’ll always be timeless. 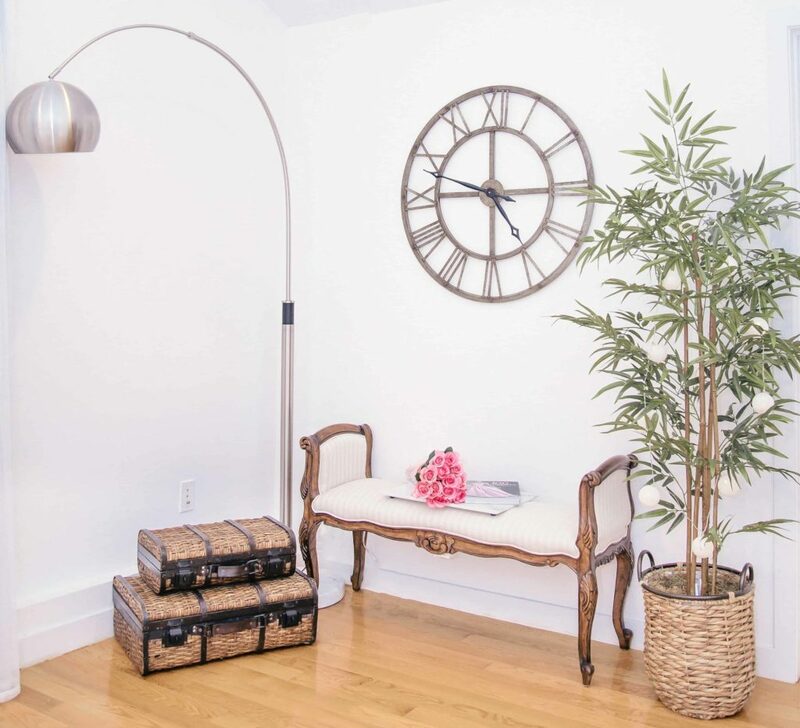 Since everything else in the room is subtle, we added this overhead floor lamp and the oversized wall clock to bring some drama to the room. Curtains can dramatically change how your space looks. I found these are blackout drapes but the heaviness is offset by the delicate tulle. Perfection! Oh wow, your room is gorgeous dear! Loving the soft pastel colors, so easy to the eyes. Great attention to details too! 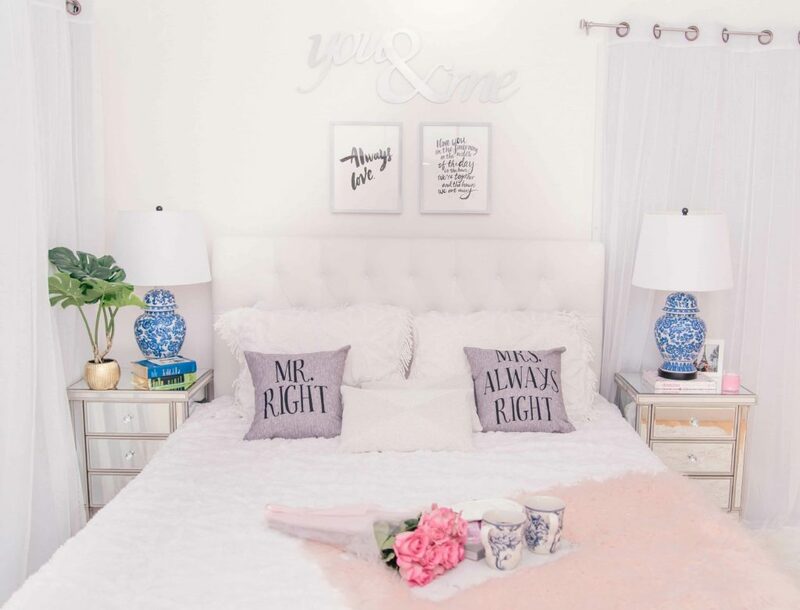 That’s exactly what I was going for – soft and neutral tones to give the room a calming effect. 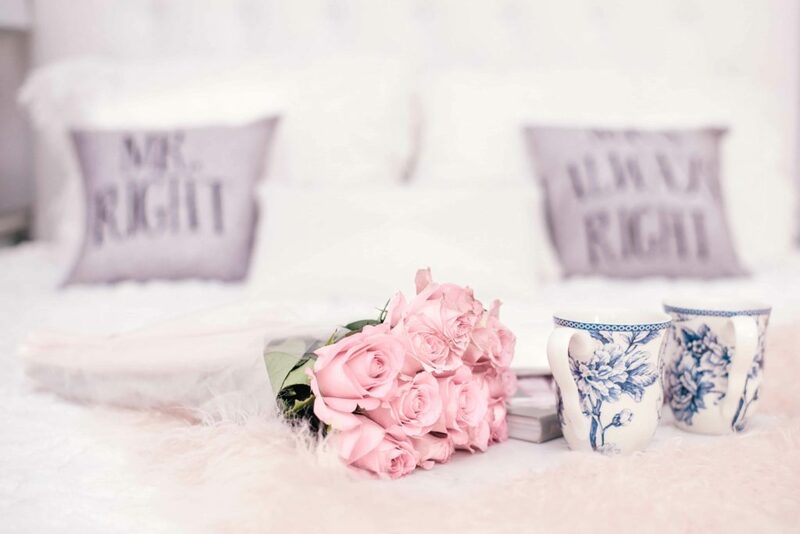 Your master bedroom looks gorgeous! I love the fresh design of it. Your room looks great! I love how light and bright it is! yayy! so glad it turned out the way I was hoping it to. Thank you for the love. 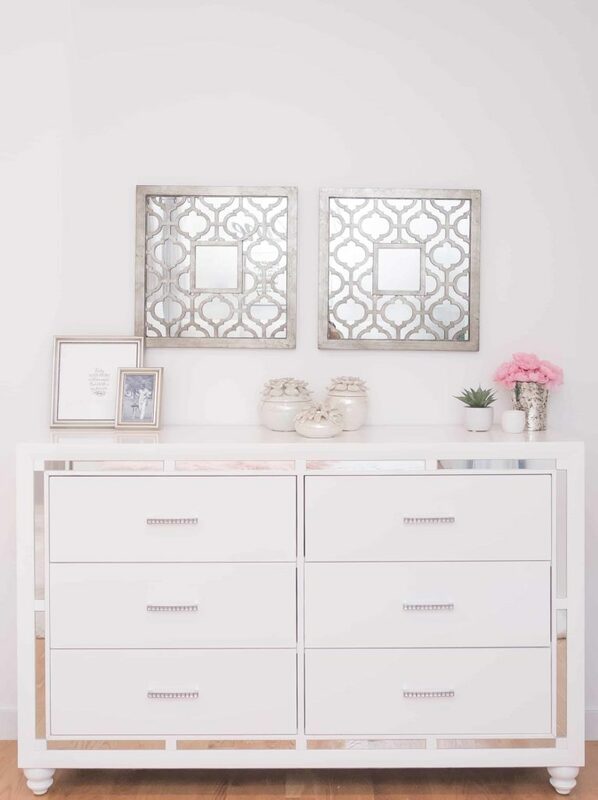 I love how light and airy you’ve made the room with the mix of whites and mirrored furniture. I also love the pops of blue, too. You’ve got such a great knack for interior design! Thanks for sharing, babe, and I hope you have a great week ahead! You are too kind. Thank you for the lovely comment. 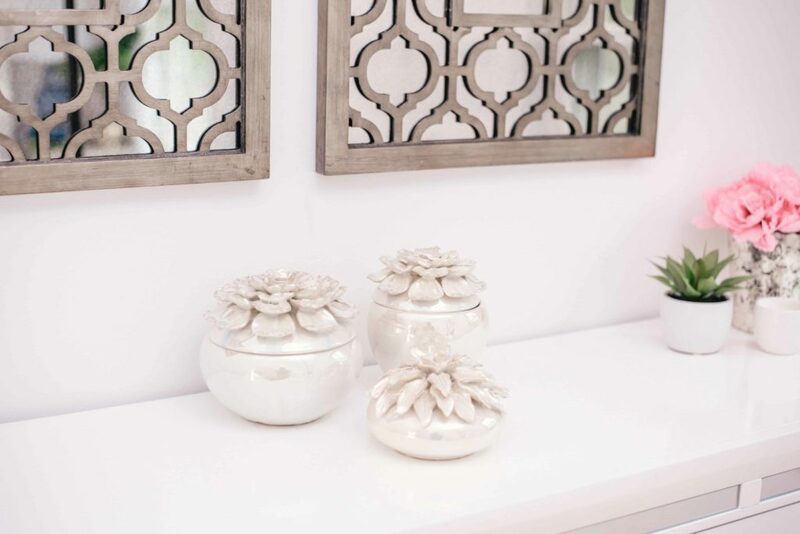 I love a backdrop of white and using that as a base for adding pops of color and textures. 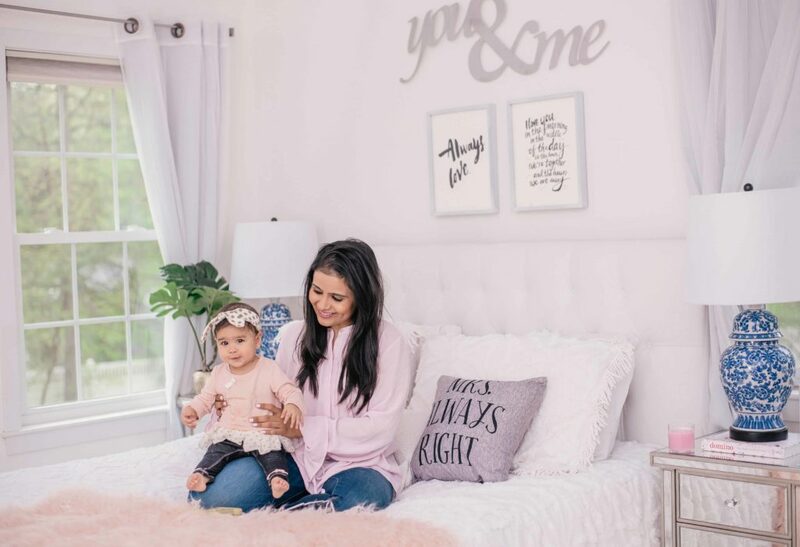 Your master bedroom looks amazing! SO PRETTY! Your master bedroom looks amazing! Love all the decors! Your master’s bedroom is a masterpiece! Great work, Neha!!! Your little one is getting so big!! 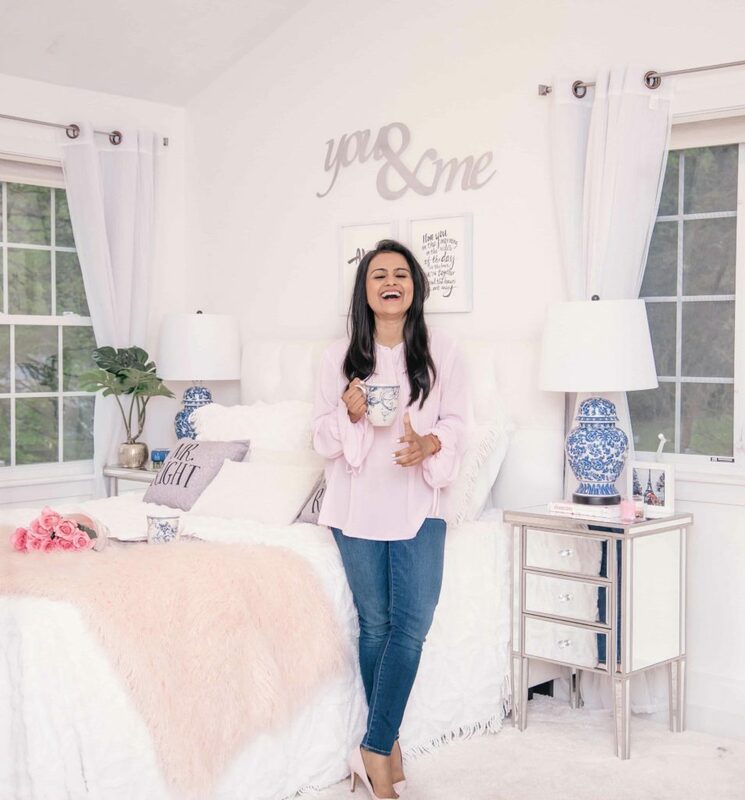 Hi Neha, love how you have decorated this room. It’s beautiful! Can you share where you got the curtains from? I am looking for something similar for my bedroom. Thanks!